Kaylee Kapsa is from Bloomington, Minnesota and adventured out to Bozeman to attend Montana State University. Kaylee graduated high school in 2016 from Benilde-St. Margaret’s in St. Louis Park, MN. Throughout this past summer, Kaylee worked closely with updating the marketing work and website design for a local home building company, NewMark Homes. In the fall of 2016, Kaylee enrolled at Montana State University. After completing many business courses throughout high school, she decided to pursue a degree in Business Management while concluding her freshmen year. Kaylee is also a double minor in Photography and Spanish, since she is an intermediate Spanish speaker and has a passionate hobby of photography. Kaylee is currently a part-time student, working toward gaining her residency here in Montana. Besides continuing her efforts in school, she wanted to participate in a job position where she could learn more about the business-world, through experience. She is also currently a member of the Chi Omega sorority at Montana State University. Although Minnesota is her home, she plans to live in Bozeman all throughout college. In her free time, Kaylee likes to spend time outdoors up in the mountains pursuing her photography work, hiking endeavors, and spending time on the lake with friends and family. 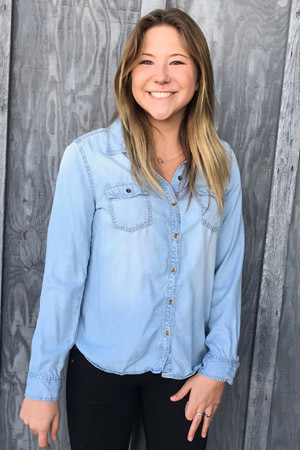 Experiencing and enjoying all that Bozeman has to offer, interning at DFman Enterprises allows her to have the balance of learning throughout her experience, and jumping into the whelm of the local Bozeman community.